It is not unusual to see dogs bonding with wildlife, we know of some dogs that have befriended lions, deer, dolphins, turtles and such. What’s unusual is when the wild animals start acting and believing they are dogs too. 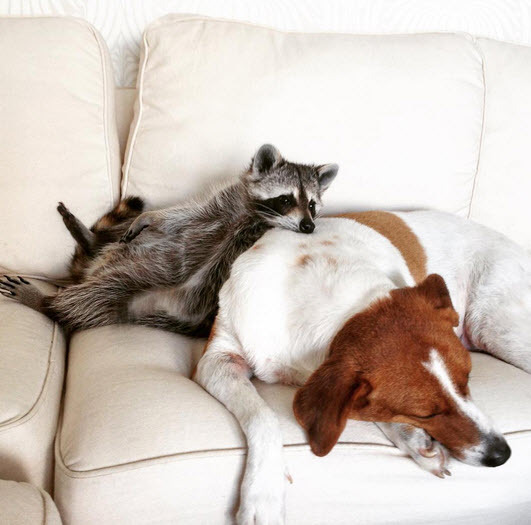 Meet Pumpkin, a rescued raccoon who has two rescue dogs, Toffee and Oreo, as siblings. 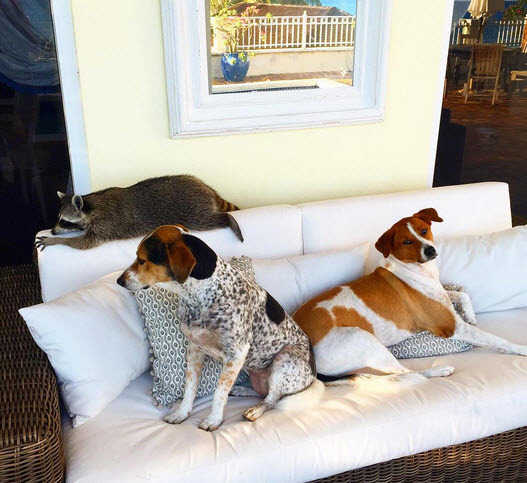 Rose Kemp lives in Nassau, Bahamas, with her rescue dogs. One day, a baby raccoon fell out of a tree in her garden and broke a leg and Kemp didn’t hesitate to help. 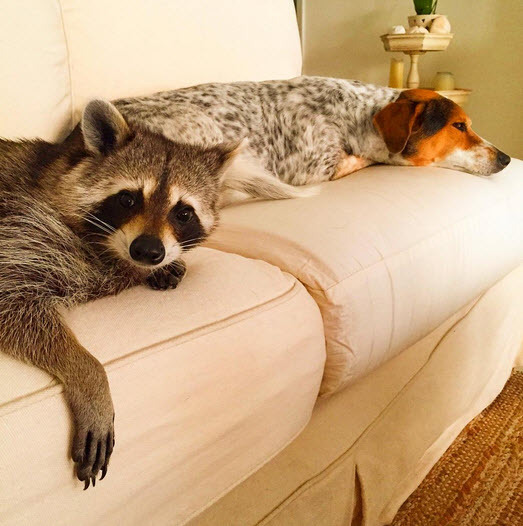 The rescue woman wanted to look after the little mammal until the baby’s mom returned to the nest, however, the mother raccoon never got back and Pumpkin the raccoon became an orphan. Knowing the injured raccoon couldn’t fend for herself out in the yard, Kemp decided to adopt the raccoon into her pack. Well, Pumpkin adapted very well to a life as an indoor pet. So much that she thinks she is a dog and follows Kemp and her two rescue dogs everywhere they go. The adventures of Pumpkin are documented on Instagram. Follow Pumpkin on Instagram and see more adorable pictures of the three “dogs.” Sorry, two dogs and a raccoon.